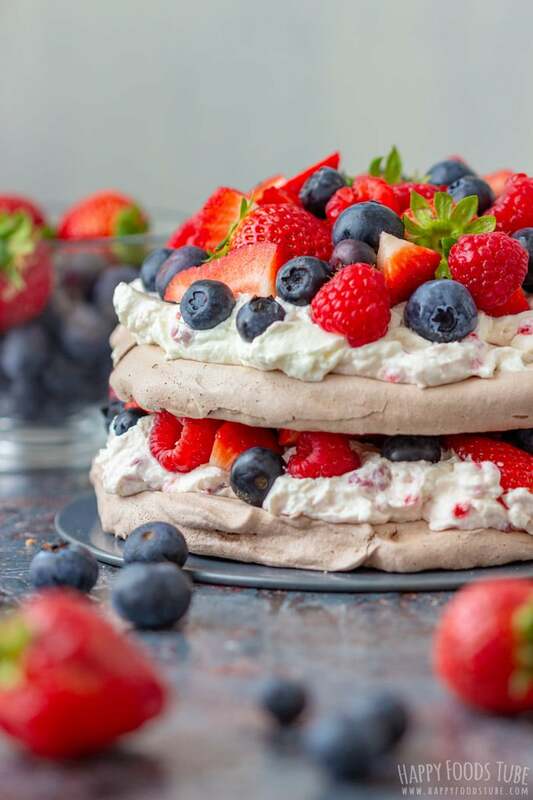 Triple berry chocolate Pavlova cake is the perfect recipe for summer! 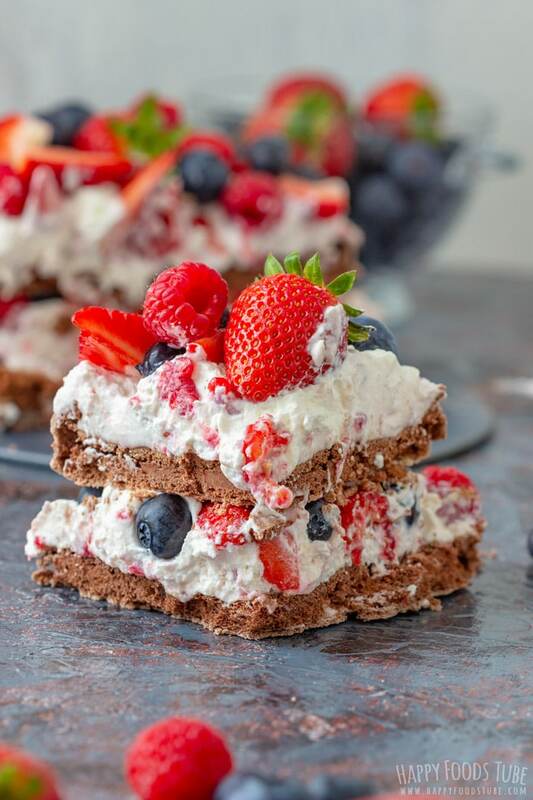 Chocolate meringue, raspberry whipped cream and fresh berries are layered to create this popular Australian dessert! 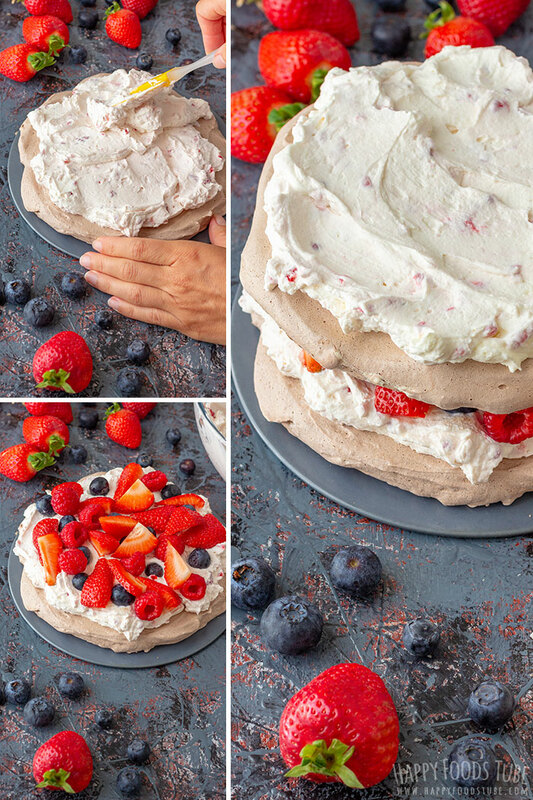 If you have a lot of berries on hand or planning a summer party, try making this chocolate Pavlova cake! 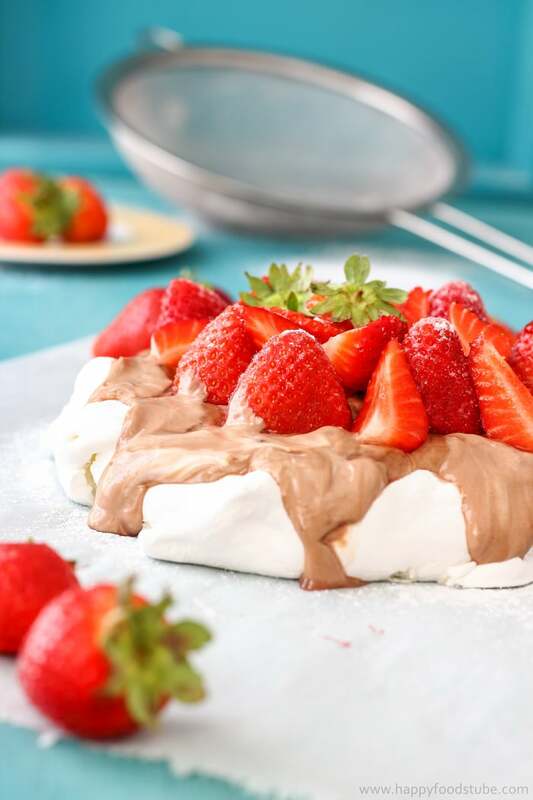 By the way, this easy meringue dessert is not only popular in Australia but also in New Zealand. In fact, they can’t agree on which country it originated in. Now I have already made Hazelnut Pavlova Cake which we love but because this is the perfect cake for summer, I couldn’t resist making another one. 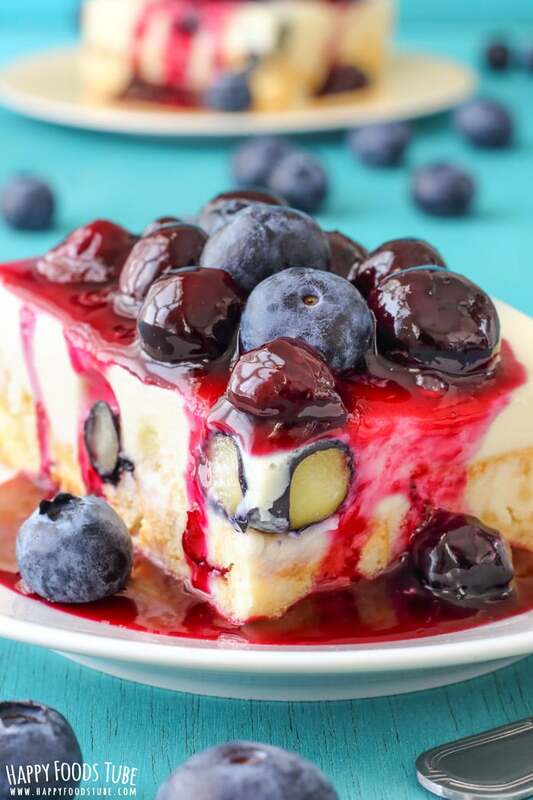 Speaking of summer, White Chocolate Waffle Cake and No Bake Raspberry Icebox Cake are also delicious summer desserts! They both are far from your traditional cakes but definitely worth giving them a go! Divide the prep into 3 parts. First, you need to bake the bases. 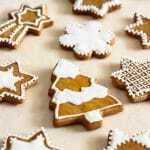 These are best baked ahead because they need to be dried out in the oven on low temperature and then completely cooled down before assembling the cake. 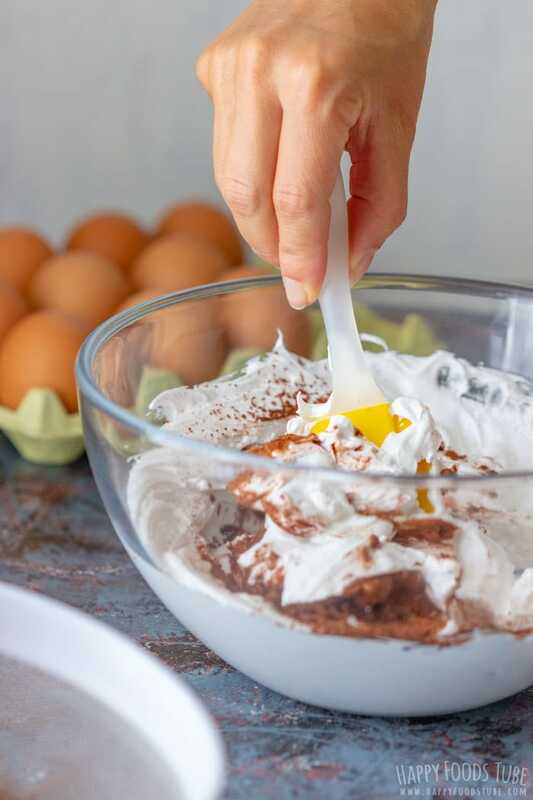 To prepare the Pavlova cake bases, beat egg whites with a pinch of salt until soft peaks form. Then the most important part comes – beating the sugar into the whites in stages until completely dissolved. Then fold in white wine vinegar and sifted cocoa powder. Now get a large baking tray. Line it with baking parchment. We will need to bake two chocolate Pavlova cake bases so divide the mixture in half and spread them onto the tray forming 2 equally sized circles. 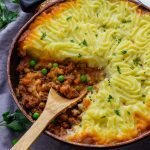 Bake them in a preheated oven until the top is completely hard. If you are looking for a very crispy meringue, then you might want to leave it in the oven for up to one hour. Making the raspberry whipping cream all you have to do is whip the cream with powdered sugar. Then add mascarpone and fresh raspberries and beat until well combined. 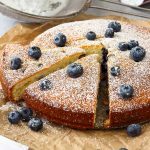 This chocolate Pavlova cake goes so well with berries so I always have hard time choosing which ones to use. Maybe it’s because I like all of them. If you are like me, combine several different types, if you are not, then simply choose one kind. It is entirely up to you. Just make sure that you pat dry the berries after rinsing them with water. 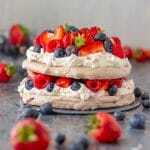 Then just assemble the summer Pavlova together and serve! 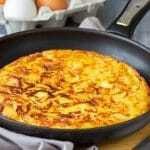 Make sure to add sugar into the egg whites gradually, in small amounts and beat well after each addition. It is also important to beat this long enough for the sugar granules to dissolve in the mixtures. 7-10 minutes should be sufficient amount of time. If you are new to meringue making and don’t feel comfortable, you might find this Mastering Meringue article quite helpful. Don’t overwork the batter when folding in the cocoa powder. 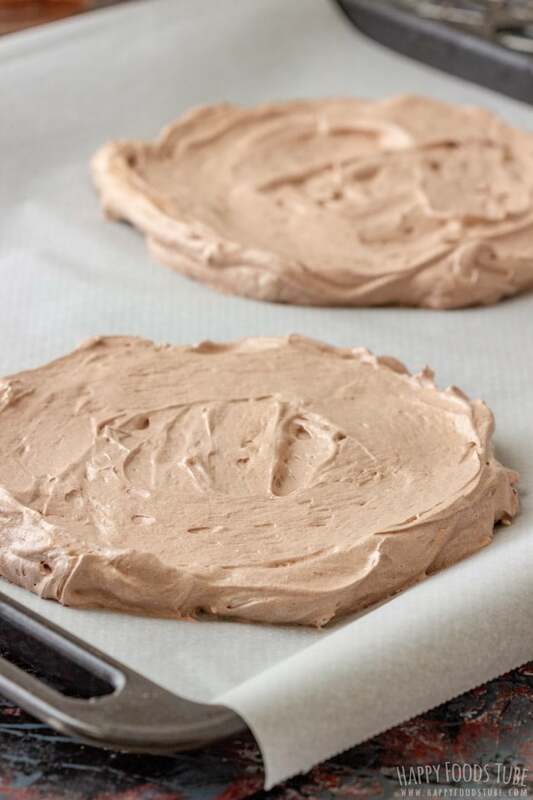 When you decide to make the meringue bases ahead, let them cool completely, then wrap in plastic wrap and keep in an air-tight container or in cold oven. If you prefer the whipped cream sweeter, add more powdered sugar. 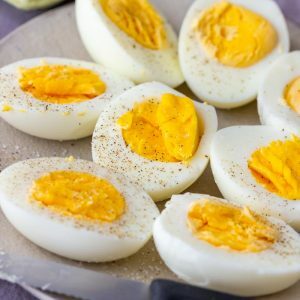 Beat the egg whites with a pinch of salt until soft peaks form. Add sugar in several stages, about a tablespoon at a time while beating. 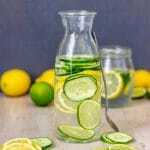 Beating dissolve the sugar but it takes a while. It is important to beat this for 7-10 minutes. 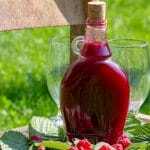 When ready, fold in the vinegar and sifted cocoa powder. 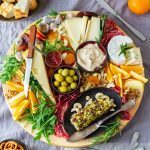 Divide the mixture in half and spread onto a baking tray lined with baking parchment creating two similar size circles (each about 6-7 inches/15-17 cm wide). 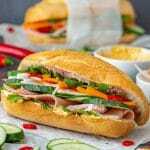 Bake in a preheated oven at 210°F/100°C for 45 minutes or until they are hard on the outside. When done, turn off the oven and let them cool inside with the oven door slightly opened. Whip the cream with powdered sugar until soft peaks form. Add mascarpone and fresh raspberries and beat until well combined. Rinse and pat dry the berries. Place the cooled Pavlova base onto a serving plate/tray or cake stand. Spread half of the raspberry cream filling over and top this with half of the berries. Spoon a little filling onto the fruits. This will hold the second meringue in its place. Now continue with meringue, filling and top everything with fresh berries. 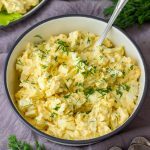 You can use egg whites from medium or large eggs. 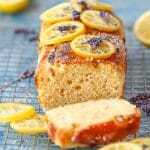 Using superfine sugar (US)/caster sugar (UK) is the best choice. 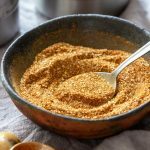 You can also use granulated sugar, but you might need to whip the whites longer. The Pavlova will look pale on the outside after baking but will have dark brown color on the inside. Use any berries you like. Also the amount of them can be increased or decreased to your liking. Mascarpone can be omitted but I highly recommend adding it to the whipped cream. It will hold its shape better and makes it creamier. This cake is best enjoyed fresh. Keeping it in the fridge it will soften the meringue base slightly. However, 1 or 2 hours in the fridge should not have any major effect on the cake. The overall time does not include time needed for the meringue to cool down. I never made chocolate pavlova before, but this is simply stunning! 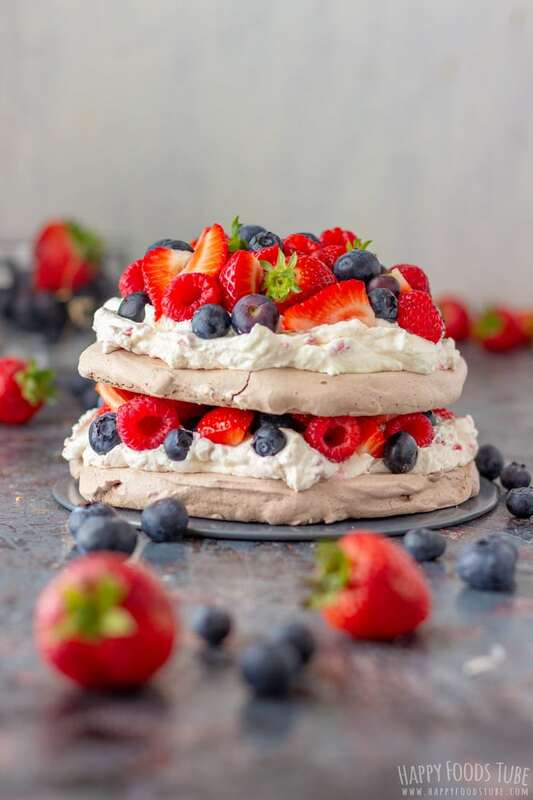 I love the combination of chocolate meringue, cream and berries – so delicious! Wow, I’ve never heard of a Pavlova cake, but this looks so delicious! I love all the berries! Mmmm. There’s nothing like fresh fruit and whipped cream. I bet the addition of the crunch from the meringue takes it truly over the top! Love that you added fresh fruit to the whipped cream, too. 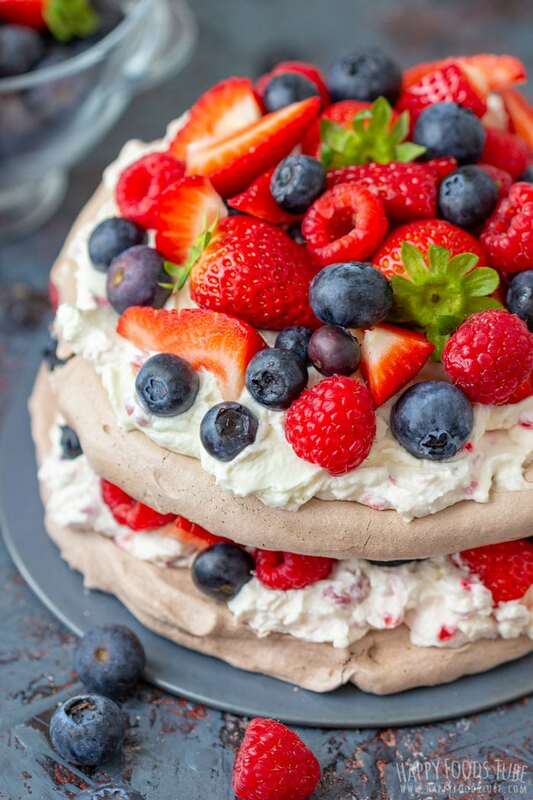 Your Pavlova with berries looks just amazing! Gorgeous photos, I’m sure incredible taste! 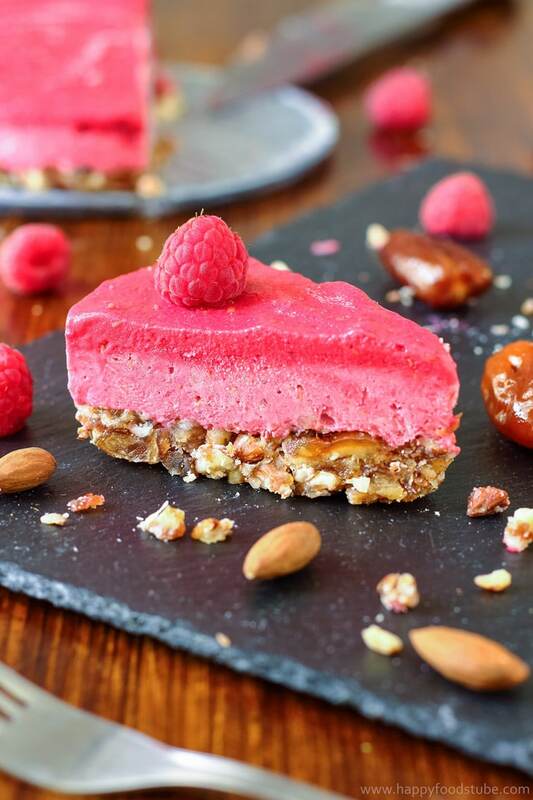 This is the most gorgeous dessert! So perfect for 4th of July! This chocolate berry pavlova cake is stunning!! I’ve never made a pavlova, but after seeing this I’m going to have to try it soon! It’s a delicious dessert, Lauren. 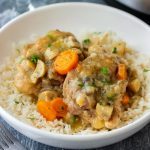 I am sure you will love it!